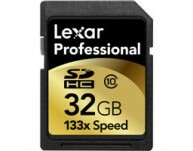 Memory Cards for Movies or Still images. Capacity 64GB / 128GB / 256GB Standard SD 4.0 Dime..
Capacity 64GB/128GB Standard SDA 3.0 Dimensions (LxWxH) ..
Leverages SuperSpeed USB 3.0 technology for high-speed file transfer, with a USB interface speed .. The SanDisk Extreme PRO CFast 2.0 memory card is more than twice as fast as today's fastest cards. W.. Exceptional file transfer speeds up to 190MB/s Drives up to 64GB can hold your most important data ..
Card's innovative memory controller offers SanDisk's best performance ~ Up to 100MB/s* write speed (..
SanDisk Extreme PRO microSDHC/microSDXC UHS-I memory cards now come with up to 64GB1 of storage for ..
Get the fastest SDHC or SDXC card on the market with the SanDisk Extreme Pro SDHC or SDXC UHS-I card.. The world's fastest SDHC/SDXC memory card, the SanDisk Extreme PRO SDHC/SDXC UHS-II Memory Card offe..
Memory Card Reader Designed for UHS-II Cards The SanDisk Extreme PRO SDHC/SDXC UHS-II Card Read..
Specifications/Features Up to 500 MB/s** interface transfer speed Fast transfer of ph..
Up to 50MB/s transfer speeds for faster workflow Storage capacities up to 32GB for storing thousand.. Combining fast performance and generous capacity, the SanDisk Ultra SDHC or SDXC UHS-I memory card i..
- Highest video performance with Class 10 rating for Full HD* video (1080p) - Best choice for..
30MB/s 200x Compact Flash cards ..
400x 60MB/s Compact Flash card .. Compatible with USB3.0, USB 2.0 devices Support 5Gb/s super-speed, 480 M..
Large Capacity High Speed memory, for Pro DSLR cameras like the Nikon D5, or Pro Movie cameras. F..